The ancient city of Hoi An is well known for its cultural and historical relics but there is also an underlying excellent cuisine to be tried. Local legends say that there are up to a thousand delicious dishes in Hoi An. You will have a hard time finding the best places during your limited stay. 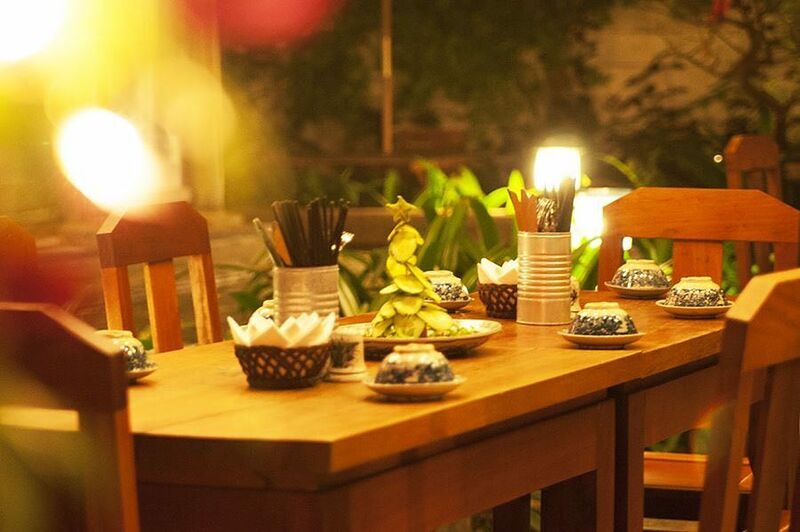 I, the self-ordained master of eating and drinking, will give you a bucket list of best restaurants to try in Hoi An! It is not an exaggeration to say that Hoi An is a heaven of food. 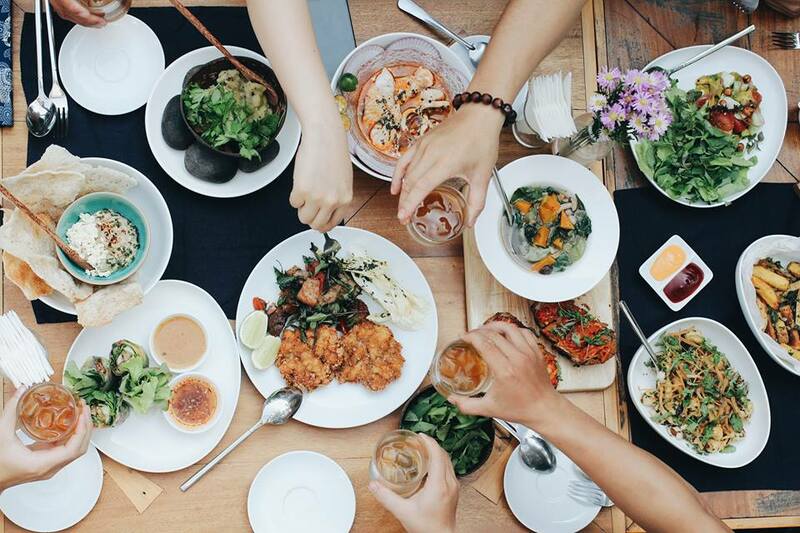 There are thousands of places where you can fill your stomach with dishes made with care, from the local scrumptious cuisine to other desired international dishes. In this article I will go through the specialty local restaurants first and then those which are perfect for a dinner out with your loved ones. We have already covered the local cuisine in a detailed food guide of Hoi An, you can check that out for more information. 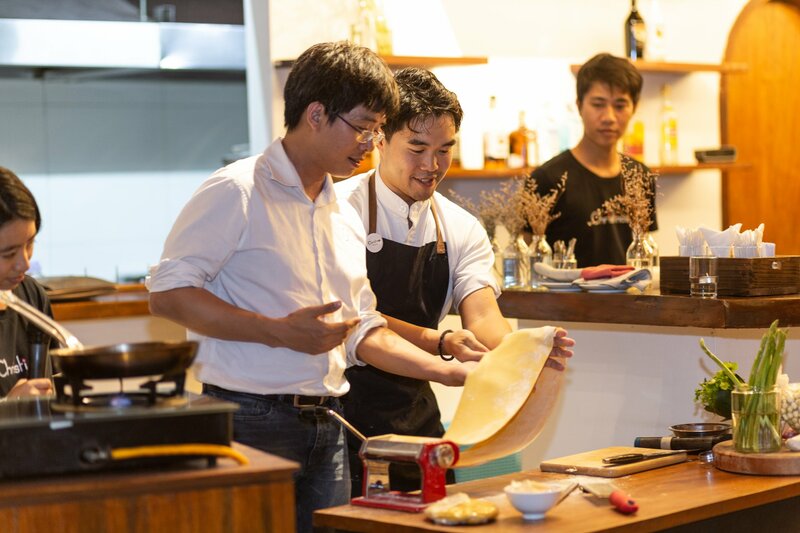 In this article I will give you my most recommended specialty local restaurants that you should not miss during your time in Hoi An. You have most likely heard of banh mi, the specialty sandwich that has gone viral worldwide in recent years, especially in the states. But let me tell you one thing, the infamous banh mi Saigon is not the best. Get your hands on the legendary banh mi of Hoi An. And there is not just one, but two options for the best banh mi in Hoi An, Banh Mi Phuong & Banh Mi Madame Khanh. Banh Mi Phuong was actually recommended by Anthony Bourdain, as the best banh mi in all of Vietnam. The most perfect combination of ingredients, from homemade mayonnaise, chili paste and subtle pate, freshened with local herbs and wrapped in an unbelievably crispy baguette will make your tastebuds buzz. 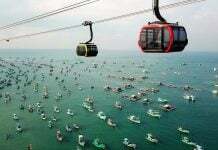 It is an unforgettable “vacation” of taste, for just roughly one US dollar. Moreover, the once humble street vendor back in the day has now become a budget restaurant with chairs and tables, so you can sit and enjoy at peace, and there are some side dishes and fresh smoothies to add to the package. If you have a banh mi hankering, then don’t miss Madame Khanh. She is not unknown in these parts. 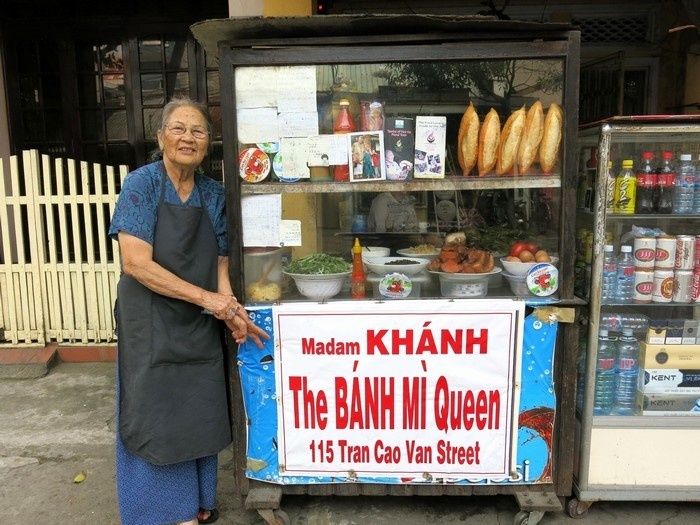 Her delicious offerings have granted her the title of “the Banh Mi Queen” by even a worldwide crowd. Her char-siu pork still remains unmatched in all of Hoi An, which literally melts in your mouth. Just purely perfect. 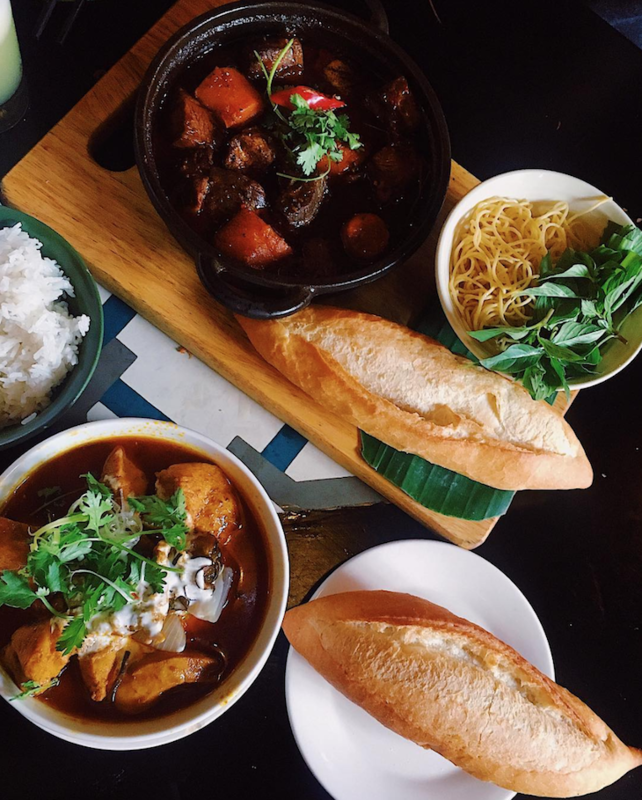 She also has a wide menu of drinks to complement the banh mi, so just take your time and enjoy the dish. Now it is up to you, will you go with the best sauce of Mrs. Phuong, or the best pork by Madame Khanh? Together with the banh mi, Hoi An’s special chicken rice is also a must-try. This dish consists only of rice and cooked chicken, served with herbs and pickles, but the perfection of ingredient preparation brings it to another level. The chicken must be raised free range to build up a stronger taste and firm texture, and the rice is cooked in a rich broth. To round out the taste, an herb basket harvested directly from Tra Que Vegetable Village and homemade pickles make for the perfect toppings. Sophisticatedly balanced and yummy! There are hundreds of com ga shops in Hoi An, but Com Ga Ba Buoi shines among them. Six decades of history, with a profound rice cooking recipe, and an out-of-this-world chicken sauce. Glorious. You may have to wait in line before getting a seat, but take it easy and enjoy the hype. Cao Lau, the last member of Hoi An’s Holy Food Trinity (together with banh mi and com ga), should not be missed. Cao Lau is a special ashy noodle of Hoi An, mixed with fragrant dark broth, char-siu pork, fresh herbs, and some fried croutons made from the same noodle. Such an ingredient-rich dish costs only 25,000 VND. 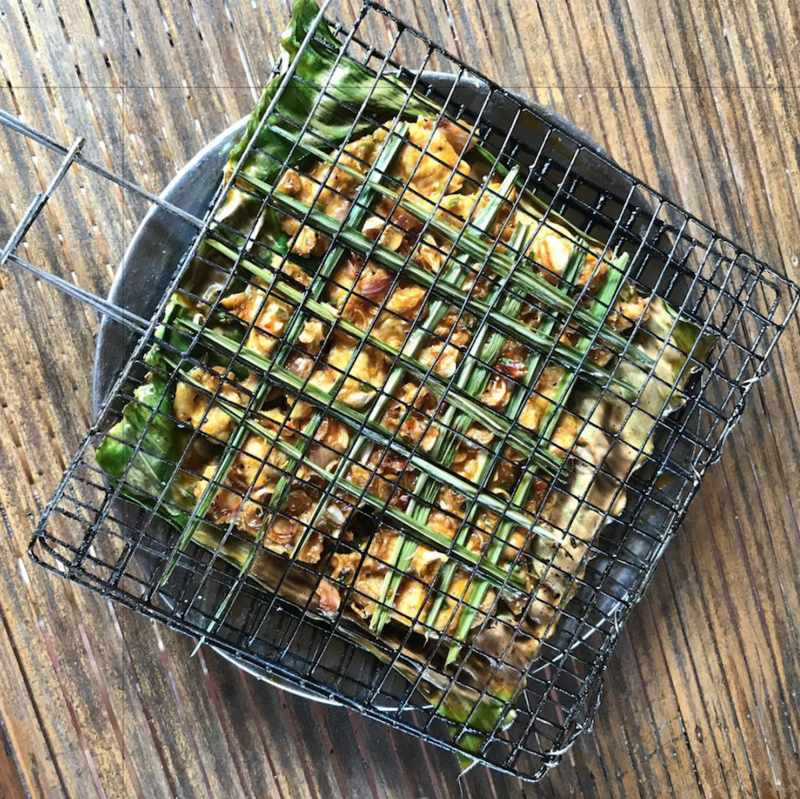 The delicious noodles are made from infusing local rice with the ashes from Cu Lao Cham, creating a uniquely smoky and crispy taste. The water for the broth must be taken from Ba Le Well, which is believed to have the best quality water in Vietnam. Last but not least, the char-siu pork has to be cooked in a sophisticated way that only the local chefs know. 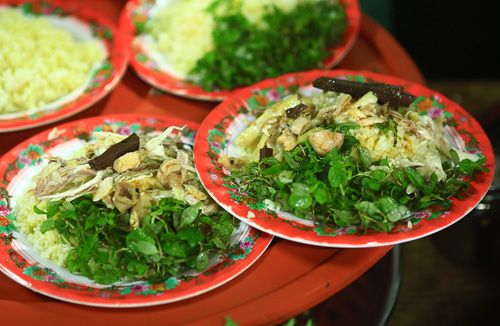 The best Cao Lau is made by Ms. Thanh, located on the food street of Thai Phien just outside the historic center of Hoi An. If you ask the locals, they will all point you to this place. Hoi An is also super well known for its tremendous street food scene along the Thai Phien street. But you may get lost just trying to find the best of those street dishes. Fear not, because they are gathered in one small local restaurant, hidden in the alley where Bale Well is located. 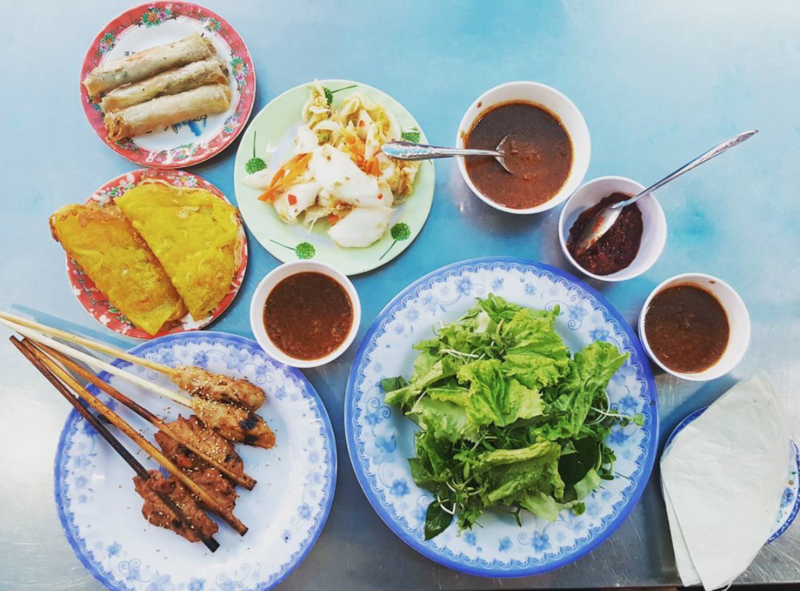 BBQ pork with rice paper, banh xeo – Vietnamese crispy pancake, spring rolls, crispy shrimp rolls, and many other dishes, are all in one place. Do you know where to start? The locals will teach you how. One of the best food experience of Hoi An is learning how to make some hearty Vietnamese dishes, out of the fresh ingredients picked from a nearby garden. Baby Mustard is the place. Located down a dusty path next to the Cam Ha bridge, in the heart of the paradisal Tra Que vegetable village, this restaurant is surrounded by picturesque herb gardens. You can feel it in the air. Imagine enjoying the best home-cooked Vietnamese dishes in a rustic traditional Vietnamese building while watching the farmers tending the field. Straight from the garden to the kitchen, what could be better than that? Even though the list above is comprised of all the superb eateries according to their respective dishes, there might be a time when you wish for a private dinner in an enclosed, well-decorated venue with high-standard dishes. Coming up next are my favorite recommendations for a memorable dinner with your loved ones. Newly introduced in the hospitality scene of Hoi An as a socially responsible venue, Christina’s on-site restaurant, Joi | Tra Que Gardens should be on the top of your list. Every ingredient is sourced from local herb and vegetable farms of Tra Que, and even from the personal farm of the restaurant. Every dish is also made from scratch, this coupled with excellent hospitality, makes for an unforgettable experience. All is made possible by the passion and the hard work of Christina’s close-knit community of farmers, hosts, chefs, and bartenders. Our talented chef shows guests how to make pasta. Not just a farm-to-table restaurant in the heart of a vegetable village, Joi | Tra Que Gardens is also a place where you can relax and enjoy the peace and tranquility of the Thu Bon river while you sample the inventive modern dishes featuring produce and flavors of Hoi An dishes and freshly crafted drinks from international talents. 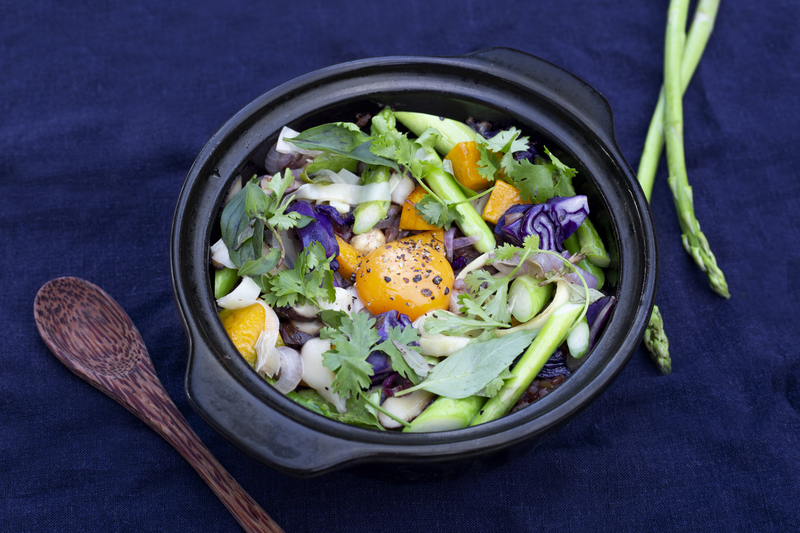 The culinary and mixology philosophy relates directly to the flavors of Vietnam, with some modern fusion twists. 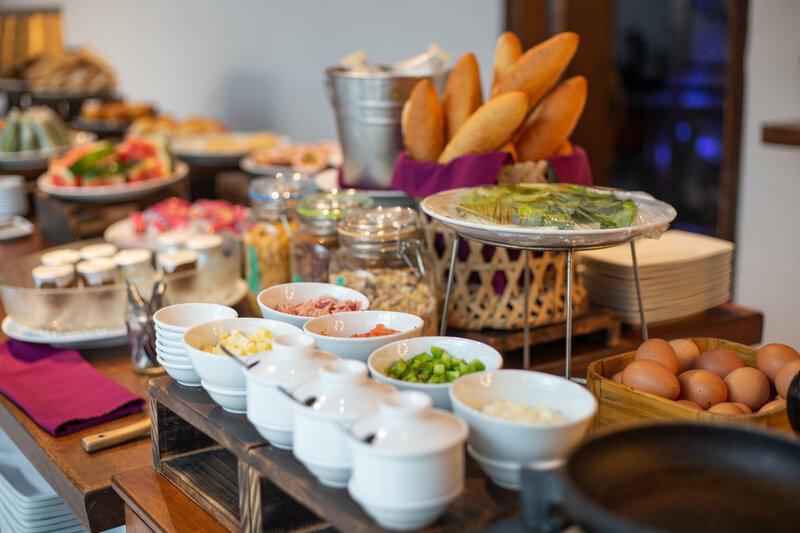 The freshest ingredients are hand-picked every morning by Chef Tru Lang and transformed into the most delicious creations delivered to your dining table. Furthermore, the extensive menu is 100% organic with vegetarian options available for every dish. And try the cocktails named Hue, Saigon, Hanoi and Tra Que – my own creations! If you would like to listen to their stories and recipes, I am willing to share also! Don’t forget to follow Joi | Tra Que Gardens’ Facebook for the latest promotions and events, share the Joi of traveling to Hoi An with your loved ones! 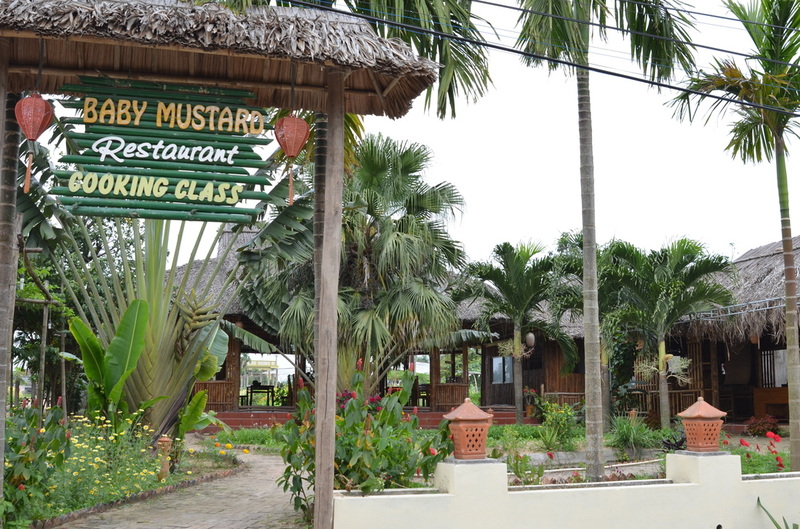 Undoubtedly, Morning Glory Restaurant is one of the most successful and established restaurants in Hoi An. 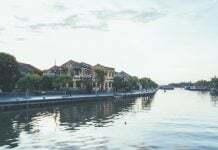 The venue is the result of a local master chef – Ms. Vy’s passion and vision of a place where guests can enjoy a gourmet Vietnamese dining experience and watch the dishes being prepared from the heart in the open kitchen, in a vibrant atmosphere overlooking the river. Everything from the furniture to the dishware and ingredients are sourced from the town, supporting the local community. The menu is awesome and diversified to please all tastebuds, the service is excellent, the food and drinks are top-notch with affordable prices, and the dessert menu is just crazy. Arrive hungry because you’ll go nuts ordering everything! In high season, Morning Glory is often full. Ask your accommodation host to help you reserve before heading there to ensure a hassle-free dining experience. 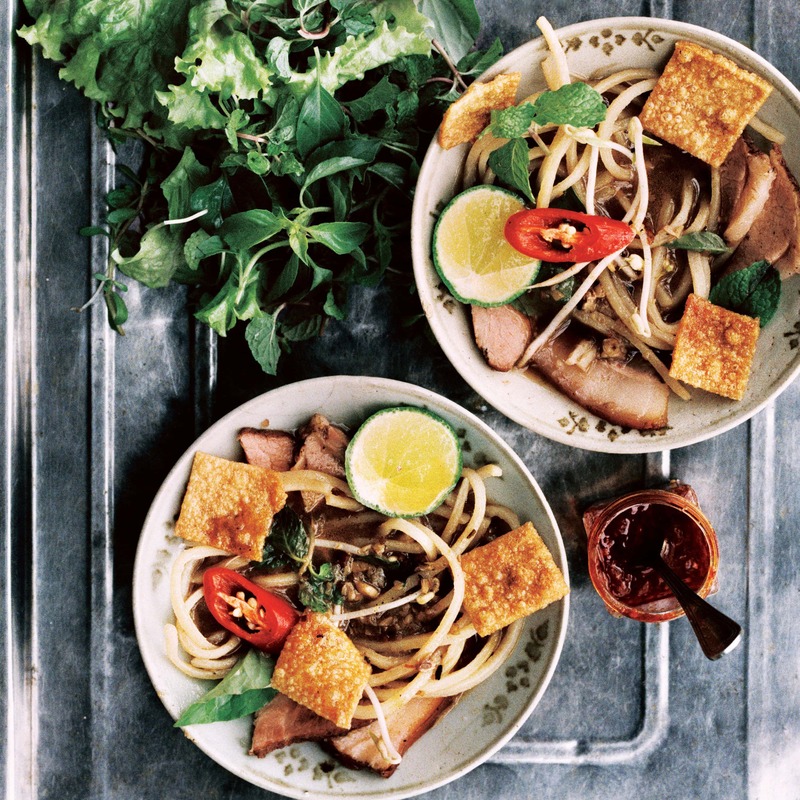 Have you had enough of Vietnamese cuisine? 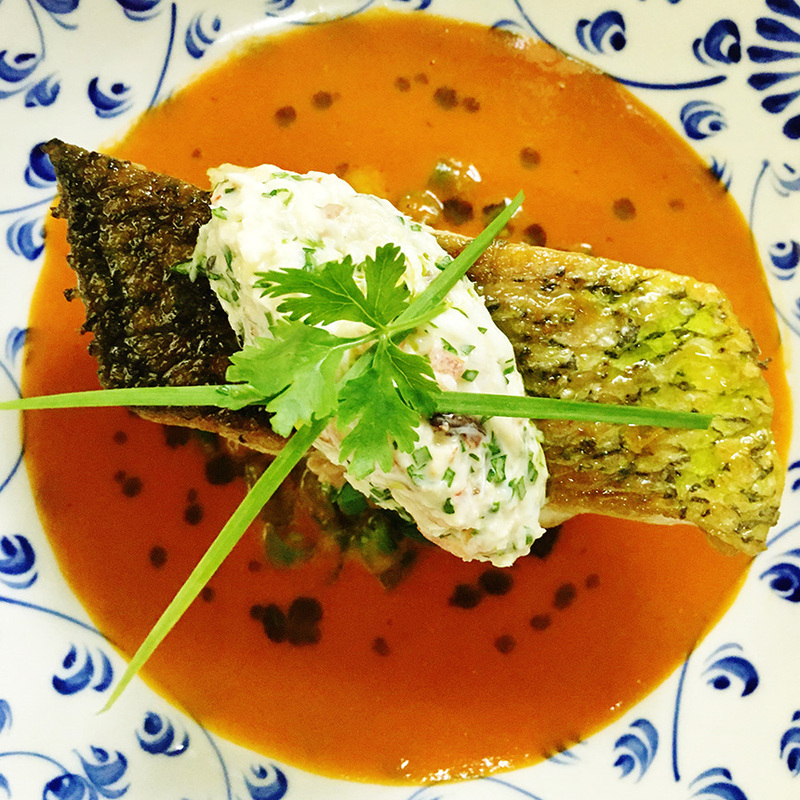 Ganesh is a great alternative for exotic South Asian dishes from India. 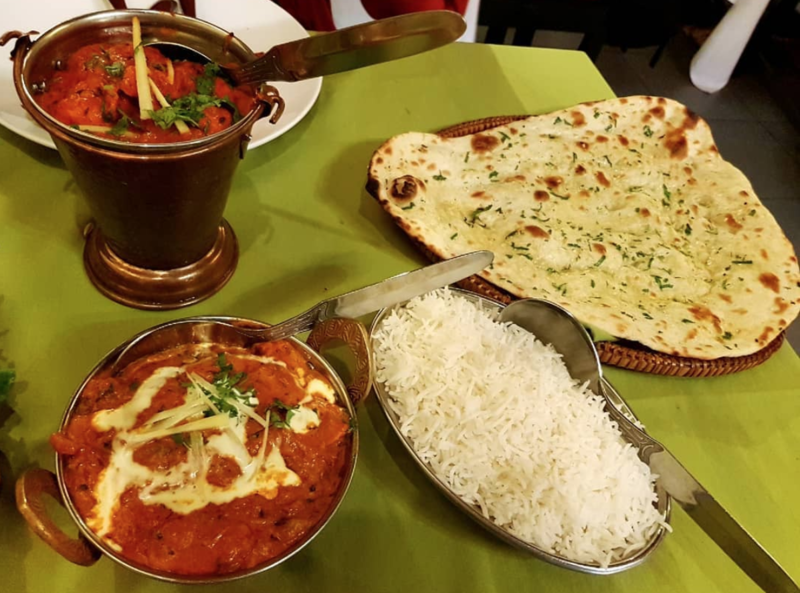 Glorious roti bread, fragrant curries, mouth-watering chicken tikka-masala, and deliciously rich butter chicken? You can test your knowledge of Indian food here with a menu featuring diversified cuisine from all over India. All the dishes are super tasty and come in large portions and excellent prices! The restaurant is also very well-known so I would advise booking a reservation in advance. Last but not least, is a fine-dining venue for those who desire a little European influence. Aubergine49 is a modern European restaurant located just a short ride from the old town, and is one of the first fine-dining style venues in the city. The experience is flawless. Locally sourced products harmonize with the finest imported ingredients, beautifully presented on shiny dishes in a relaxed atmosphere. The staff will also happily recommend great wines to pair with the food. Let me craft a three-course dinner for you. First, get your tastebuds active with the tomato textured salad – made with varieties of fresh tomatoes, prepared in many ways, sprinkled with green pesto sauce, bocconcini, and decorated with black olive-flavored Cao Lau croutons. For the main course, go with the roasted loin of bartail flathead fish, covered in Parma ham with prawn fricassee, legumes, and salsa verde sauce on the side. To even fulfill more of your meat course, get a grilled beef fillet, garnished with foie gras parfait, topped with balsamic glazed shallot, truffle mash, and perigourdine sauce. To finish your fantastic meal, a lovely dessert will do the trick. How about mousse made with white chocolate, fresh coconut and Malibu, served together with passion fruit sorbet and cardamom chantilly cream. Located in a small street far away from the ancient town, Orivy is a family-owned restaurant that makes fragrant authentic food. The ingredients are incredibly fresh because they are harvested from areas around the restaurant. The fish is caught by the fishing communities near De Vong River, the vegetable are locally sourced from Tra Que Vegetable Village, and the rice is selectively chosen from paddy fields nearby. It may be hard to choose just one entree because the menu is diverse with many specialties of Hoi An such as com ga, banh xeo, my quang, and cao lau. The dishes are cooked by the owner’s mother and other family members, so it is a truly authentic flavor. The interior has mostly wooden chairs and tables with green trees to add a light touch. The atmosphere is peaceful and relaxed, perfect for savoring delicious dishes. The family staff is also super friendly and happy to talk with you. 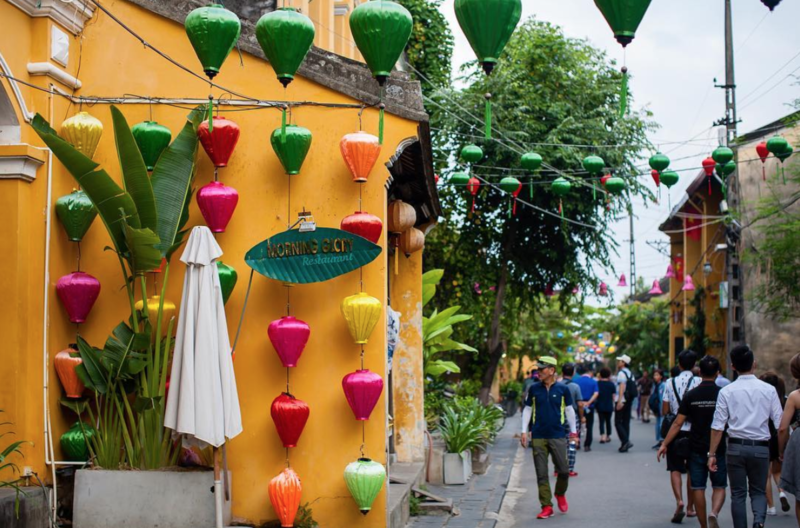 Apart from the fantastic food scene that can keep you eating from dawn to dusk, a day in Hoi An might get you busy and overwhelmed as well! If you plan to visit this ancient city, my advice is to spend about three to five days here, visit all the sights and eat all the food. Check these articles below for more information about Hoi An. If you enjoyed reading this article and would like even more fun info about what to see, do, and eat (and a whole lot of unique memorable cafes!) 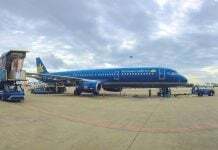 all around Vietnam, follow us at the Christina’s Blog! I have been travelling around with Christina's and Onetrip since 2016. I have more than 2 years of fresh experience in Food & Beverage industry, especially being a bartender for more than one year.